The Weinberg Center for the Arts is a showcase for the performing arts. It plays a valuable leadership role in our local and regional arts communities. Through a wide range of dramatic, music, and educational programs, the Weinberg enhances Frederick's cultural life and ensures that the arts remain accessible and affordable to the broadest audience possible. See the Weinberg for yourself at these performances! Two days before Christmas 1926, a sell-out crowd of more than 1,500 people gathered at Frederick's plush new movie palace - the Tivoli Theater. Built by the Stanley Crandall Company at a cost of $350,000, the Tivoli offered an atmosphere of refined elegance. Theater-goers marveled at the modern centerpiece of it all: the magnificent Wurlitzer organ. Installed in 1926 at a cost of $18,500, it continues to entertain today's audiences during silent movies and sing-alongs. The Weinberg's is the only Wurlitzer in Maryland still in its original installation. The Weinberg was Frederick's first air-conditioned public building, all due to the 1939 and 1940 American Horse of the Year, Challedon. Locally-bred Challedon's owner, W.L. Brann, and Dr. Edward Thomas, a race fan and patron of the Tivoli accompanied the horse to race in the 1940 Hollywood Gold Cup. At a pre-race party, Warner Brothers head Jack Warner was overheard saying he was going to bet $50,000 on the favorite. Thomas convinced Warner to bet on Challedon instead. When Challedon won the race and a hefty sum for Warner, Warner asked how he could return the favor. Thomas's request was to install air-conditioning at the Tivoli, and Warner made good on his offer. The Tivoli fell into disrepair during the 1950s. In 1959, Dan and Alyce Weinberg purchased the building for $150,000 and restored it to its former glory. By the 1970s, downtown Frederick was deteriorating, and the Tivoli struggled to compete with modern movie theaters. Its struggle reached its low point when storm-driven waters flooded the theater and downtown Frederick in 1976. The water peaked three feet above stage level, submerging the seats and floating the Wurlitzer onto the stage. Community members joined forces to salvage the historic landmark-organ and all. After sixteen months, the theater reopened as the Weinberg Center for the Arts, honoring the Weinberg family, who gifted the theater to the City of Frederick. The Weinberg has drawn such famous names as Marcel Marceau, Hal Holbrook, George Carlin, Judy Collins, Tammy Wynette, Garrison Keillor, the Temptations, Michael Moore, and Tom Jones. 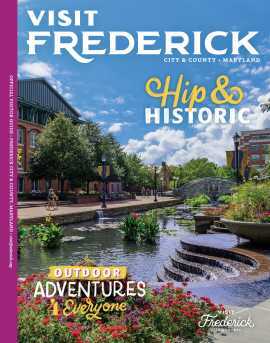 Today, the center is owned and operated by the City of Frederick, with the support of the Weinberg Center for the Arts Inc. - a nonprofit organization created in 1995. Thanks to a successful capital campaign begun in 2008, the theater was renovated in 2011, once more restored it to its former grandeur.